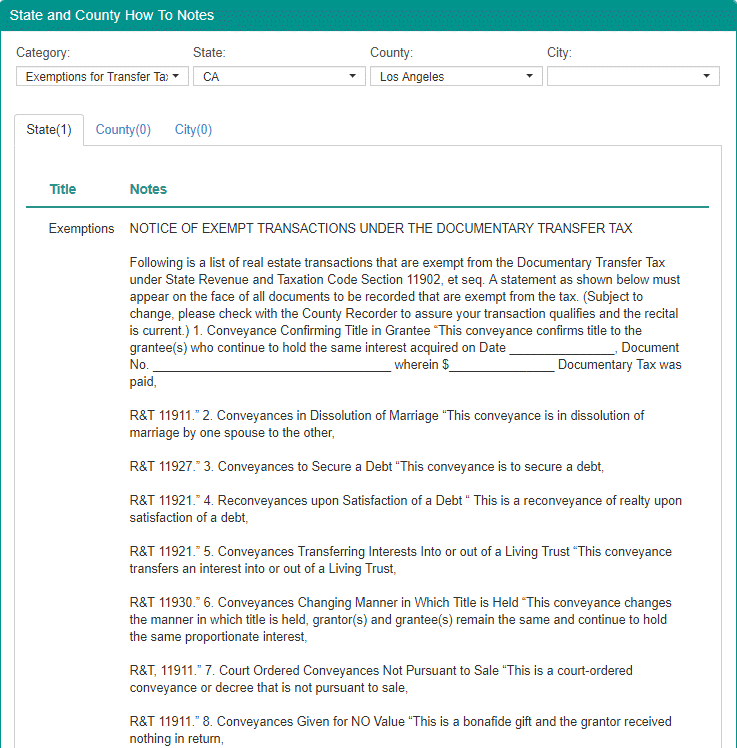 Many counties charge a tax for transferring the ownership of your title to another person or even a trust document. However, there are exemptions that counties do list that can be used to avoid paying these taxes. DeedNetwork provides you with a complete list of exemptions to use to avoid taxes. Avoid city transfer taxes too. More and more cities across the country are jumping on the bandwagon of assessing property owners a fee when they pay a county recorder transfer tax. DeedNetwork can show you which cities have a transfer tax and the best way to reduce or eliminate these taxes.